Auto accident injuries such as spinal cord and back injuries can be life-changing and even fatal. 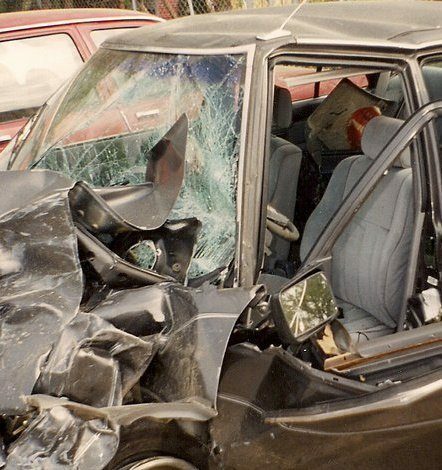 At Jaffe & Erdberg, we understand that auto accidents can be devastating and traumatic events. We help victims and their families recover compensation for their physical, emotional, and financial losses. Our Birmingham auto accident attorneys remain accessible and respectful of our clients. We return your phone calls and view your trusting us to litigate your case as a great honor—while we may handle many cases over the years, each client will typically only have one case. That is why we consider it an honor each time a client trusts us with his or her case. We are prepared to exhaustively investigate the details of your car accident and fight to ensure all responsible parties are held accountable. • Each year, there are over 6.4 million car accidents in the U.S.
• Experts estimate the cost of these auto accidents to be more than $230 billion. • Roughly 2.9 million Americans are injured in automobile accidents each year. • Nearly 43,000 individuals die annually following car accidents. Broken down, this means that, on average, 115 people die each day due to serious car wrecks. At Jaffe & Erdberg, we understand the complexities that may arise in Alabama auto accident cases. Our goal is to ensure that surviving family members of those killed-or those who are seriously injured-get the full amount of compensation they need and deserve. Weather, including fog, snow, heavy rain, etc. Our Alabama auto accident attorneys have experience building cases and recovering compensation for those injured in car accidents caused by other drivers. Prospective plaintiffs can find out if they have a case by meeting with one of our experienced car accident lawyers for a free initial consultation. During this meeting, our team can thoroughly investigate your case and help you decide the best option for you. Depending on an individual’s needs and circumstances, our auto accident lawyers in Birmingham are prepared to go to trial or negotiate sizable settlements for our clients. Our team has extensive experience handling insurance claims and dealing with insurance adjusters. We understand the challenges of negotiating a fair settlement for our clients and know when it is smart to litigate.Insurers are not on your side, and will do their best to limit your compensation or deny your claim. We can even the playing field and help you get as much money as possible so you can recover with peace of mind. For a FREE case evaluation with an experienced Birmingham auto accident attorney, contact our offices today at . We would be happy to arrange a private, no-obligation consultation.